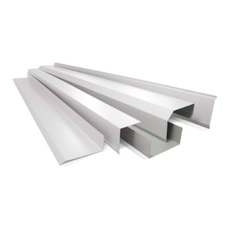 To retain our goodwill as the prominent manufacturer and supplier, we are offering a fine quality range of Metal Flashing. The offered product is manufactured using well tested raw material and sophisticated machines in accordance with the set industrial standards. In addition to this, we check the entire range on defined parameters of quality. This product is highly acclaimed in the market for its durability, corrosion resistance and sturdiness. Clients can avail the entire range from us at competitive prices. 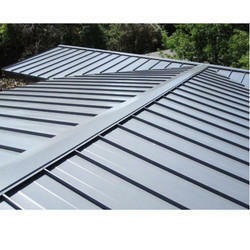 Metal Roof Flashing offered cold rolled galvanized steel roof sheets that are made available in different color choices to pick from. Finding use as roof flashing, these can be provided with different surface treatments like phosphating, chrome coating and others so as to provide in them suitable protection support. Some of its features include providing for waterproof and fireproof finish, superior anticorrosion support, provides for superior adhesion support, high tenacity, longer service life and others. Some of the areas these find use in include as roofing sheet, in residential houses, steel structures and others. 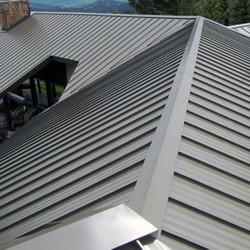 With a precise understanding of this industry, we are offering a quality assured range of Metal Corner Flashing. Available in various sizes and dimensions, this product is highly acclaimed in the architectural construction. This flashing provides an extra durability to any structure. The offered product has gained appreciation from every nook and corner of the country for its corrosion resistance and sturdiness. Looking for Metal Flashing ?